(by Cheyenne MacDonald and Ryan O’Hare, UK Daily Mail) – Police departments are increasingly turning to ‘GPS bullets’ to catch fleeing suspects without the risk of a high-speed chase. 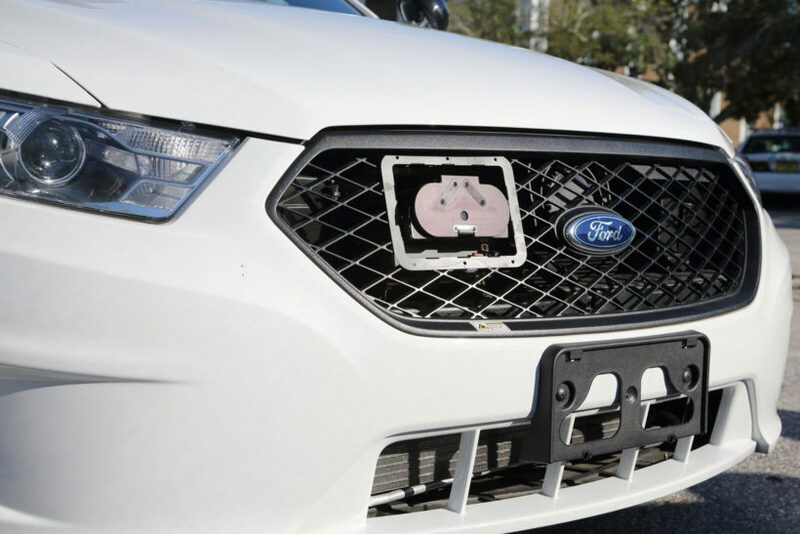 More than 50 agencies are now using the tracking technology, which can be launched from the grill of a police cruiser and stick to a fleeing car. High-speed pursuits often end in a crash, resulting in injuries, property damage, and even death – but, the new tracking method allows officers to follow a suspect’s every move without endangering anyone on the road. The dual barrel launchers contain two tracking devices (‘bullets’) and can be launched with a button on a key fob, carried by the officer. It uses laser-guided tracking technology to launch the bullets, which are 4.5 inches long and 2 inches in diameter. As for the tracking, it uses Google Street View maps over a secure web portal, so criminals can’t hack into the system, to track the driver in real time. A recent demonstration for CBS News reveals that the system has so far seen successful trials in Milwaukee, where officers report they’ve used it to make arrests and recover stolen cars. The StarChase launcher is attached to the front of the police cruiser and uses compressed air to fire the GPS projectile, which contains a tracking device and adhesive to stick to the body of the car. As a police officer leaves their squad car, they take a remote control with them. Or, the projectiles can be controlled using a button on the dashboard. If the car attempts to flee, they simply press a button on the remote and the system launches the tracker at the car in front. Once the tracker is attached to the car, the police can back off to a safe distance, monitoring the car’s location in real-time thanks to GPS signal relayed by the tracking device. According to the system’s manufacturers, the driver can be apprehended at a safer location, if they drive home, for example. ‘The longer they go un-pursued, the more their driving behaviour settles down because they don’t want to get killed either,’ Milwaukee Police Department chief Edward Flynn told CBS. So far, the projectiles stick to the target car roughly 50 percent of the time, CBS reports, and wet conditions have been found to pose a challenge to the adhesive. But, the officers using the system predict the success rate will climb to 75 percent with further training. StarChase has successfully been used 28 times since the trial period began, resulting in 17 people taken into custody, and 26 stolen cars recovered. ‘We’ve had zero fatalities, zero injuries, zero property damage, and zero liability,’ StarChase president Trevor Fischbach told CBS News. The dual barrel launcher system reportedly costs in the region of $5,000 and can carry two tracking devices. It uses laser-guided tracking technology to launch the bullets, which are 4.5 inches long and 2 inches in diameter. As for the tracking, it uses Google Street View maps over a secure web portal. The dual barrel launcher system reportedly costs in the region of $5,000 and can carry two tracking devices. While the price may seem steep, StarChase points out that there are more than 100,000 high-speed pursuits in the US each year, putting officers, bystanders, and the offenders at risk – and car crashes are the leading cause of death for officers almost every year. Reprinted here for educational purposes only. May not be reproduced on other websites without permission from the UK Daily Mail. 2. Describe how this tracking device works. 3. How effective has the system been for the Milwaukee Police Department during this trial phase? 5. What is the success rate for this device? How will this increase with further training, according to the officers currently testing/using the system? 6. How does StarChase, the company that sells the system answer those who say the price is too expensive? 7. a) Do you think your police department should purchase/use this type of system? Explain your answer. Trevor Fischbach, president of StarChase LLC, the maker of the tracking device. Still, front-line officers say the technology is valuable and has been used to find suspects in violent crimes, such as carjackings and robberies. In August, Milwaukee officials announced the police department would use the technology, which was created by StarChase in Virginia Beach. The move came during continued public discussion about the department’s restrictive pursuit policy. Since 2010, the policy has required officers to have probable cause that someone in the car is committing a violent felony or is “a clear and immediate threat to the safety of others” before pursuing the person. Supporters say the policy is saving lives by limiting pursuits, while critics argue it allows criminals to get away. 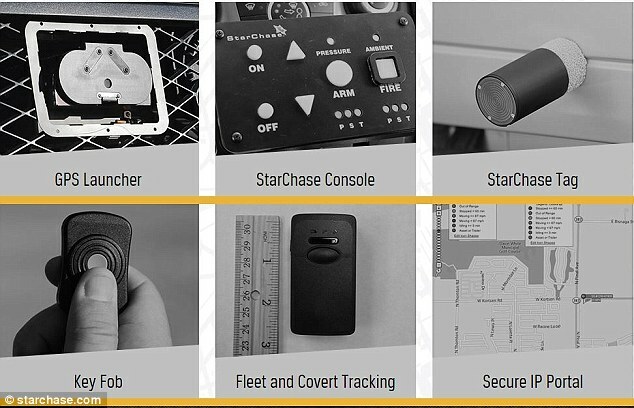 StarChase can be used only in exigent, or emergency, circumstances, according to a directive from Police Chief Edward Flynn and a training bulletin governing the technology’s use during the pilot program. Civil liberties experts have said there probably isn’t a problem as long as the technology is used when a police officer has the equivalent of probable cause and does not have time to get a warrant. But tracking should end as soon as police catch up to the fleeing vehicle and police also should not delay stopping the vehicle as a way to learn more about the driver via the GPS, the American Civil Liberties Union has said. “StarChase isn’t going to be a tool for every situation,” Fischbach said. But when they are used, “the results are fantastic.” StarChase provides law enforcement professionals with another set of choices, he said. Officers cannot pursue vehicles that have fled from traffic stops just to deploy StarChase unless the chase is justified under the existing pursuit policy. They also cannot use StarChase on motorcycles. Otherwise, officers can exercise discretion about when to use it and do not need approval of a supervisor.